Provide comfort for the family of Linda Koonce with a meaningful gesture of sympathy. Services for Linda Neal Koonce, 64, of Lindale, formerly of Grand Saline, are scheduled for 2 p.m., Friday, March 22, 2019, at Main Street Baptist Church with Bro. David Yarbrough officiating under the direction of Bartley Funeral Home. Interment will follow in Woodside Cemetery. Mrs. Koonce passed away Sunday, March 17, 2019 in Tyler. She was born November 24, 1954 in Grand Saline to the late Alton Darrell “Pete” and Peggy Jane Joslin Neal. Linda was a lifelong resident of Grand Saline. She was a member of the Grand Saline High School Class of 1973 and Sand Flat Baptist Church. She was employed by Action Cleaning Systems and former co-owner of KW Meat Company in Grand Saline. 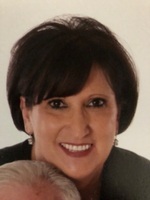 Linda was a member of the Mineola Country Club, Garden Valley Country Club, and Ladies Golf Association. She had a great love for animals, was known for always putting others before herself and for her giving heart. She enjoyed teaching her children and grandchildren how to cook, they were her life. Survivors include her husband of 47 years, Mike Koonce of Lindale; son, Heath Koonce and wife Anna of Lindale; daughter, Meghan Renicker and husband Rob of Tyler; three brothers, William Neal and wife Sharon of Grand Saline, Glynn Neal and wife Marcille of Mesquite, Lynn Neal and wife Hilda of Grand Saline; sister, Jeanie Brown and husband Phil of Grand Saline; five grandchildren, Hannah Koonce, Sara Koonce, Izzy Koonce, Robby Renicker and Jocelyn Renicker; and numerous other nieces, nephews, other relatives and friends. Pallbearers will be Donny Koonce, Brian Brown, Darrell Neal, Brady Brown, Brandon Brown, Brice Brown, Michael Neal, and Matthew Neal. The family will receive friends Thursday, 6-8 p.m. at the funeral home. Memorials can be made to the SPCA of East Texas P.O. Box 132899 Tyler, Texas 75713. To plant a memorial tree in honor of Linda Koonce (Neal), please visit our Heartfelt Sympathies Store. Our deepest sympathy. Linda was truly a lovely person. We are blessed to have met her.